Create a flawless look with this simple spiral pendant a common symbol of Celtic culture representing birth, growth and knowledge. This pendant is a wonderful addition to any jewellery collection. 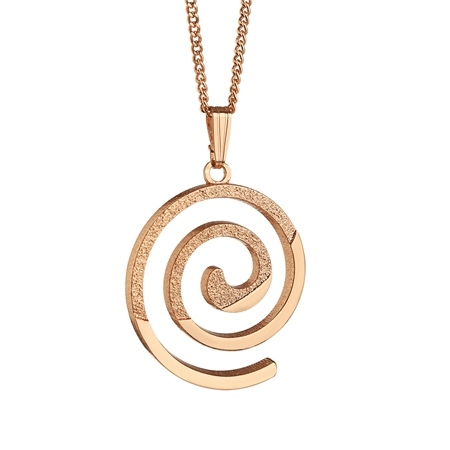 Rose Gold plated Spiral pendant with a protective anti tarnish layer, etched detail, presented in a Newbridge Silverware gift box.